There are no events at present. A joint exhibition between myself and my father under the umbrella of When Does Craft Become Art? Featuring my textured textiles theme of Bee Kind For Cushioned Landings. 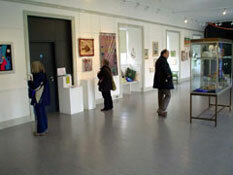 The exhibition was held at the Lansdown Hall & Gallery, Stroud, Gloucestershire. 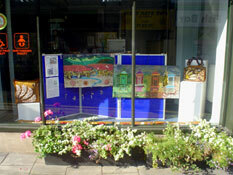 A display of some of my work in the window of the Stroud Town Council shop in London Road, Stroud. Stroud branch Embroiderers' Guild A Stitch For All Seasons, which featured some of my work. 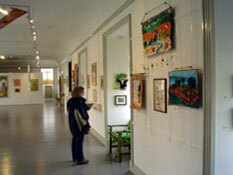 The venue was the Lansdown Hall & Gallery, Stroud, Gloucestershire. Three pieces in the Place In Time exhibition by the South West region of the Embroiderers' guild, which was held at Torre Abbey, Torquay, Devon. 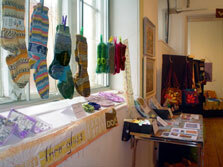 From Hooking to Bags a Lifetime in Rags at the Space, Stroud. 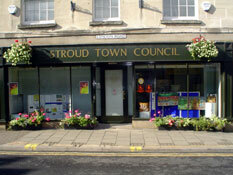 Embroiderers' Guild 2nd Time Around exhibition at Stroud Town Hall. Three Generations Exhibition at Stroud Subscription Rooms. Shortlisted for Stroud Textile Award.